Marketing has always been a cold business. We may not have realised this in the same way that our ancestors in the Ice Age didn’t think it was especially chilly. As they were huddled round their fires, drapped in layers of woolly mamoth skin, they were not dreaming of laying out on a sunny beach in their fur-lined swimwear. We only call it the Ice Age because we are looking back at it from the perspective of a warmer world. 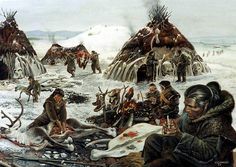 We can now see that pretty much eveything our ancestors were doing in the Ice Age revolved around the fact that keeping warm was difficult, but to the folks at the time, this was just business-as-usual. Marketing is the same. The rules of marketing were established to deal with a ‘cold’ environment where distributing information (like staying warm) was expensive and difficult. But because these rules applied to everyone, we didn’t notice them. Instead, we simply focused on playing the game better. But marketing (especially consumer brand marketing) is now in trouble. In fact, I think 2015 is shaping up to be a very tough year for marketing. The reason for this is that the brand climate is warming up, and brand marketers haven’t got themselves a hat and some sun-screen. Instead, to continue to stretch an already rather mixed analogy, they are trying (unsuccesfully) to make a fur parasol. The social digital revolution is melting the problem that marketing was based around. It is now not a problem defined by the difficulty of distribution, it is a problem defined by the opportunity for connection. It is not a world defined by relationships with audiences, it is defined by relationships with indivuduals – and relationships between individuals are always going to be ‘warmer’ than relationships with audiences. We may have believed that we could create a warm relationship with a ‘target audience’ but that was only relative. The best audience-type of relationship can only ever be at the warmer end of a fundamentally cold scale. It may have seemed like a warm relationship to us at the time, but only in the same way that 1 degree above freezing might have seemed a pretty balmy day to the folks in the Ice Age. Any strategy or set of tactics designed for a cold world will become increasingly less effective as the world warms up. This is the problem we see with marketing. Everything we know about how to ‘do’ marketing still works, it just works less and less effectively as every year passes. 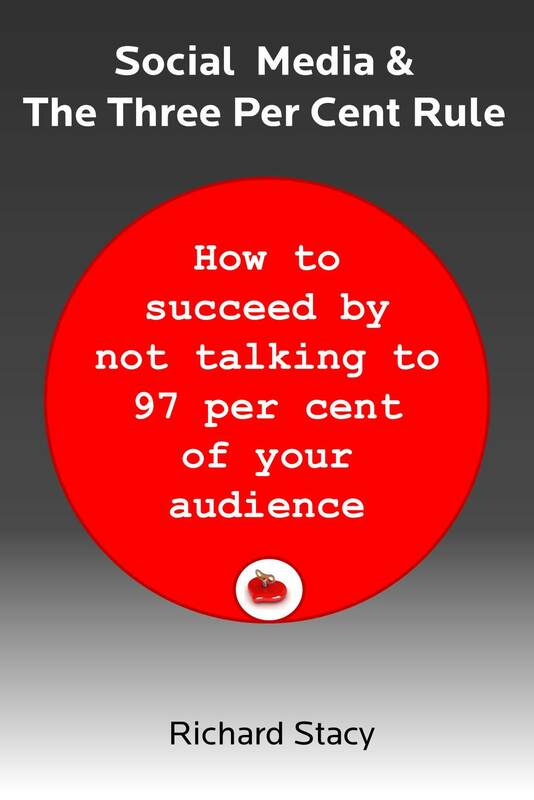 And this is why marketing directors are tearing their hair out and coming under pressure from finance directors and CEOs – pressure which is then translated to their agencies. It makes no business sense to keep pouring progressively more and more money into something to compensate for the fact that it is delivering less and less. But – there was a Great Hope. We could all see that the problem seemed to be coming out of the digital space, so we therefore assumed that the digital space would offer up to us a solution. The tools, the things, the channels that came out of this space would deliver for us the results that the old tools and channels were failing to do. Or so we believed. The reason I think 2015 is going to be the year of reckoning is a dawning recognition that the Great Digital Hope (in all its iterations) – is failing to live up to the promise. It might be delivering a bit, but it is not delivering enough. Indeed, in many instances it is turning out to be an even more unproductive environment in which to spend traditional marketing dollars. For example, we have now realised that ‘organic reach’ in social media is no sort of reach at all. We can bolt advertising solutions onto this, but this advertising works less effectively than it did when we were doing it in traditional media. We can become more targeted in our approach, but the more targeted we become, the less receptive people are to being targeted (or less responsive to what we have to target them with). The metrics we have all been chasing: engagement, followings, ‘likes’ are turning out to be both hard to achieve at any sort of scale, and also pretty worthless if you achieve them. Of course it is not the digital environment that is failing to deliver, it is simply that the old approaches don’t deliver in this new environment. In the new world, you don’t deal with audiences, you deal with individuals. But, you can’t deal with individuals all at once (or else they become an audience again). So if you can only deal with a small number of people at any one time, the value you have to extract (the heat if you wish) has to be dramatically greater. And generating sufficient heat will inevitably involve ceding elements of control back to the consumer, because productive relationships have to be balanced. Brands have not been giving consumers what they really want, they have been giving them what it is economically efficient for them to provide. But while brands are all playing to the same rules, it can appear as though we are responding to our consumers – when all we are doing is being a tiny bit less-responsive than the next guy. The logic behind ‘hot marketing’ is pretty compelling, in much the same way that the logic behind global warming is pretty compelling. It is also relatively easy to start to identify how to create value through the power of connection (rather than distribution). But, as with global warming, recognition of the problem doesn’t make the solution easy – because it involves surrendering the old certainties and doing things differently. This isn’t going to happen overnight. However, the first step is for brands to understand the rules of ‘hot marketing’ as well as recognising how fundamentally cold the previous rules were. My mission for 2015 is therefore to be an evangelist for Hot Marketing.